DRC: Can the Central African Forest Initiative survive? - Unearthed DRC: Can the Central African Forest Initiative survive? Will an international scheme to protect the world’s second largest rainforest survive? A UK backed deal to protect the world’s second largest rainforest is struggling, just over a year since it was signed and amid rising concerns over deforestation, corruption and political instability. Back in April 2016, the Democratic Republic of Congo (DRC) signed a landmark deal to protect its vast rainforest. Stopping deforestation there is seen as key to the future of many indigenous groups, numerous animal and plant species and to preventing catastrophic climate change. The Central African Forest Initiative (Cafi), saw the Norwegian government – backed by the European Union, the UK, France, Germany and, more recently, the Netherlands and South Korea – pledge hundreds of millions of dollars to aid development in the countries that are covered by the Congo Basin rainforest. The UK has not put up any money for the project, but is supporting it. 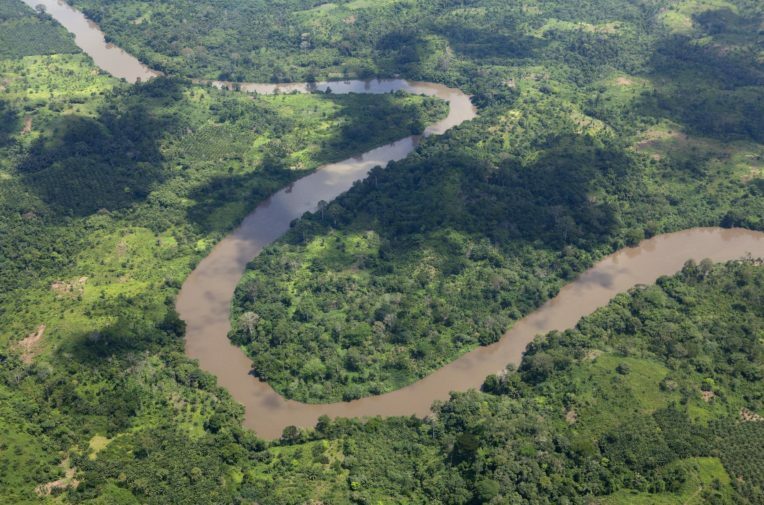 If all went to plan DRC, which has 155m hectares of forest – more than the size of the UK, Ireland, France and Spain combined – would receive a stream of development aid over the next few years in exchange for preserving its rainforest. The other African countries involved in the scheme – Central African Republic, Cameroon, Equatorial Guinea, Gabon and the Republic of Congo – would also get support. initiative to protect the world’s second largest rainforest survive? We spoke to some of the project’s key decision makers to try and find out. “DRC is a very complex country to operate in,” says Berta Pesti, head of the Cafi secretariat for the United Nations Development Programme (UNDP). The last few months makes Pesti’s point sound like an understatement. The country has been in political turmoil since last September when Joseph Kabila refused to stand down after the end of his second five-year term as President. In December 20 people were killed in violent confrontations between security forces and protesters as demonstrations took place in the capital Kinshasa at the turn of the year, and in February, the country budget minister said the country “could not afford” to hold an election in 2017. The unrest has also been marked by a clampdown on foreign NGOs in the country. The tumult has had an impact on Cafi. Funding for projects, which had been approved at the start of the year, has been frozen since February, after Greenpeace and a host of other international and local NGOs revealedthat the country’s former environment minister Robert Bopolo Mbongeza signed documents pledging logging concessions in northern Congo to two companies. The move breached the country’s long-standing moratorium on new logging concessions. Three months after the existence of those concessions was made public, little has changed. As Pesti explains, the Cafi executive board presented the Congolese government to comply with three conditions to unfreeze funding. According to Pesti, the first two conditions – which looked to create an action plan on how the breaches could be prevented in the future and establish internal controls to stop breaches occurring from within the environment ministry in the future – have been met, but the third, to cancel the concessions, has not. With the government in a state of flux, the DRC environment ministry says it has been unable to get the authority to cancel the concessions. Norway environment minister Vidar Helgesen said the Norwegian government, which is the major funder of the initiative, was “aware of the political situation in DRC”. “We anticipate that the next government will follow up on the existing government`s public commitment to cancel these illegal logging licences. In general, the risks associated with having an active engagement with the DRC is mitigated by working through international delivery partners like the UN and the World Bank, where we rely on their due diligence and performance standards to protect our investments and interests. Where did the palm oil in my chocolate bar come from? Jules Caron, a campaigner at Global Witness, is less optimistic. “The fact that DRC has violated its moratorium and violated the letter of intent which was signed by the DRC government and the Norwegian government, brings into question the ability of the DRC government to act as an honest broker in this deal,” he tells Unearthed. Caron’s comments are echoed by Simon Counsell, executive director of the Rainforest Foundation UK. He suggests that while the project is hampered by the political situation in DRC, he also bemoans what he describes as Norway’s “bungled” approach to preventing deforestation and a lack of knowledge about what he call the “realities of the forests in Congo”. “The entire CAFI programme in DRC is based on a fundamentally flawed analysis of what is causing deforestation in the Congo and what is needed to stop it,” he says. With DRC’s logging moratorium approaching 15 years since it was created it is likely to come under scrutiny in the coming months. Ostensibly created to prevent a mad dash for natural resources as the country emerged from civil war in 2002, the logging moratorium has survived just about intact to this day. The current labour minister Athys Kabongo Kalonji pledged to honour the moratorium during his brief spell in the environment ministry earlier this year. He told Voice of America in February he intended to be a “defender of forests”. Corruption remains another threat to the success of Cafi, something Helgesen is mindful of. “Obviously, corruption is a major obstacle to development in general and the fight against deforestation and climate change in particular,” he writes. 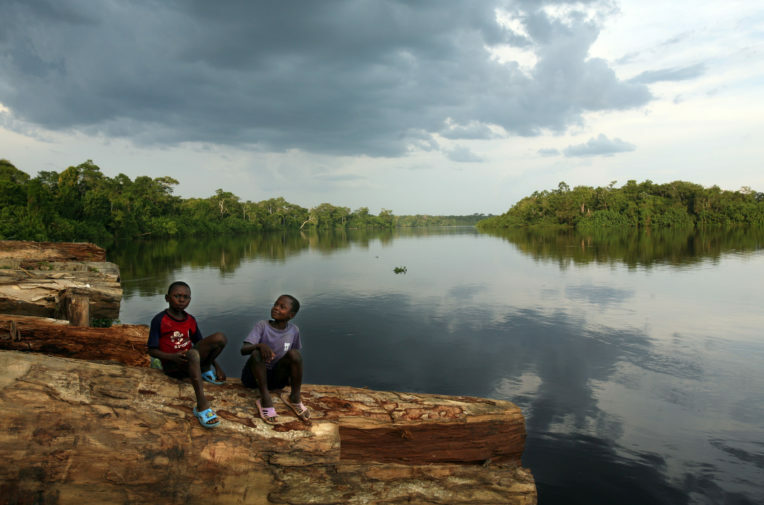 With forest conservation a major part of the international plan, outlined in the Paris Agreement, to limit global warming to 1.5 degrees, conserving the Congo Basin has perhaps never been more important. As Oxford University professor Yadvinder Mahli told Unearthed at the end of last year, the rainforest plays a major role in shaping global weather systems. Much of the region is one of the few pristine forest environments left on earth and home to gorillas, forest elephants and bonobos. But in recent years logging and palm oil interests have looked at the area as a possible target for investment.